Parking calme et sûr dans le centre de la ville où la nuit est autorisée a Tomás prise d'énergie électrique et d'eau dans les environs. Il n'y a pas de vidange d'eau. 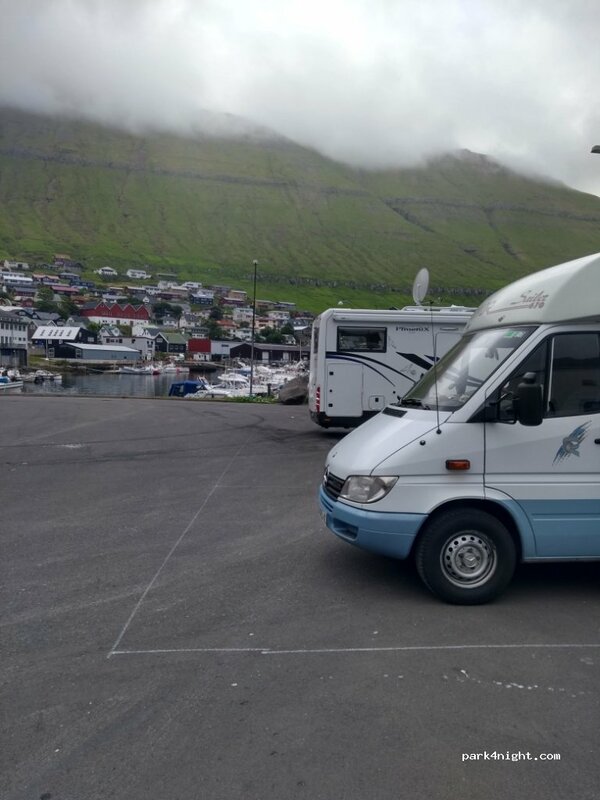 Quiet and safe parking in the center of the town where the overnight stay is authorized has Tomás electric power and water intake in the vicinity. There is no emptying of water. Aparcamiento tranquilo y seguro en el centro de la población donde está autorizada la pernocta dispone de Tomás de corriente eléctrica y toma de agua en la proximidad. No dispone de vaciado de aguas. 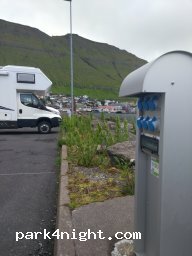 Man zahlt 150 Kronen im Touristbüro und bekommt dafür eine KeyCard für WC und kostenlose Duschen sowie das Passwort für das Gratis Wifi. Sehr sauber, sehr ruhig, schöner Blick. Freundlicher Empfang. Strom, Wasser, Abwasser vorhanden - keine Zusatzkosten. Supermarkt, Restaurant und Pizzeria in der Nähe. No es gratuito, hay que pagar algo en la oficina de turismo que está enfrente del aparcamiento. 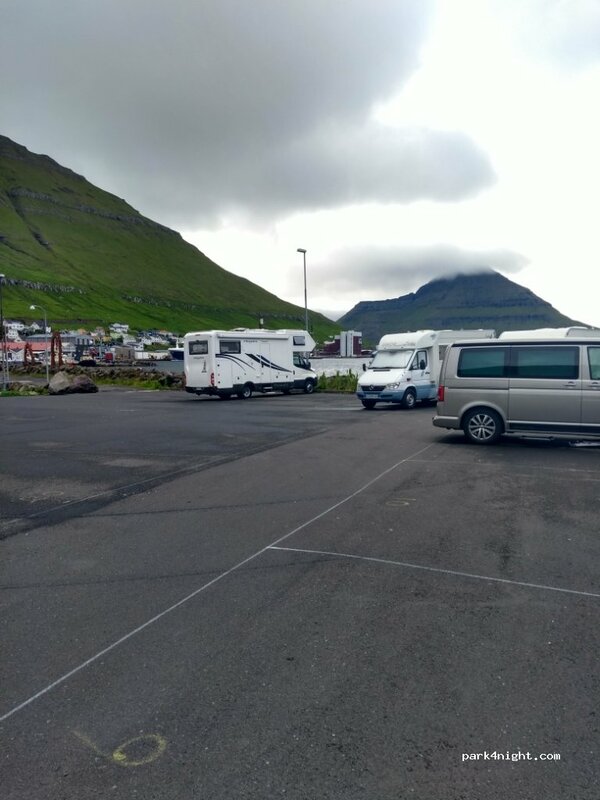 Official RV park with great views. On gravel and terraces. 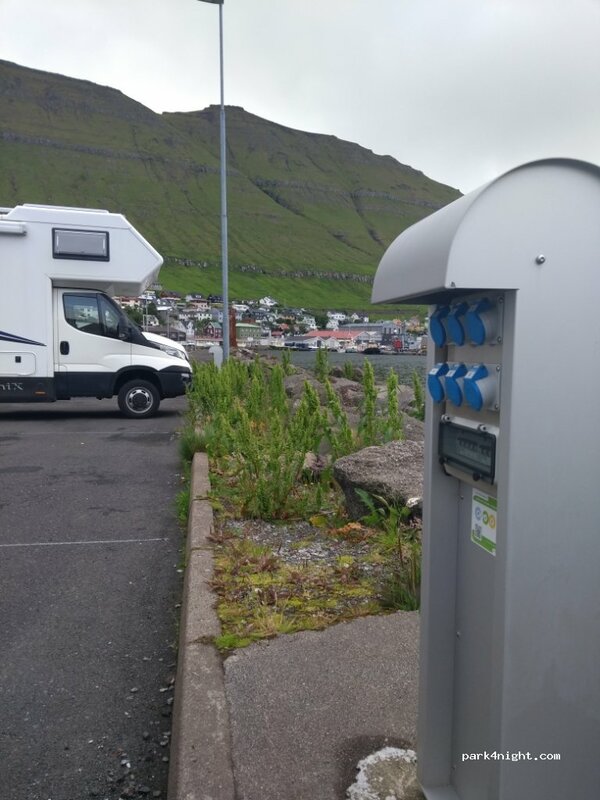 Area for motorhomes, there is electricity. Tents are not allowed.